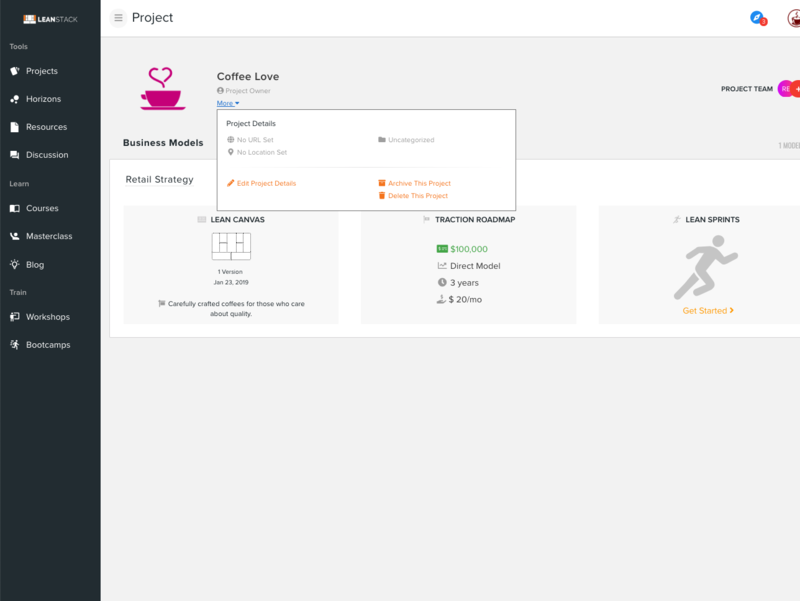 In this update to the platform we continue to refine the user experience for generating new business models within your projects. 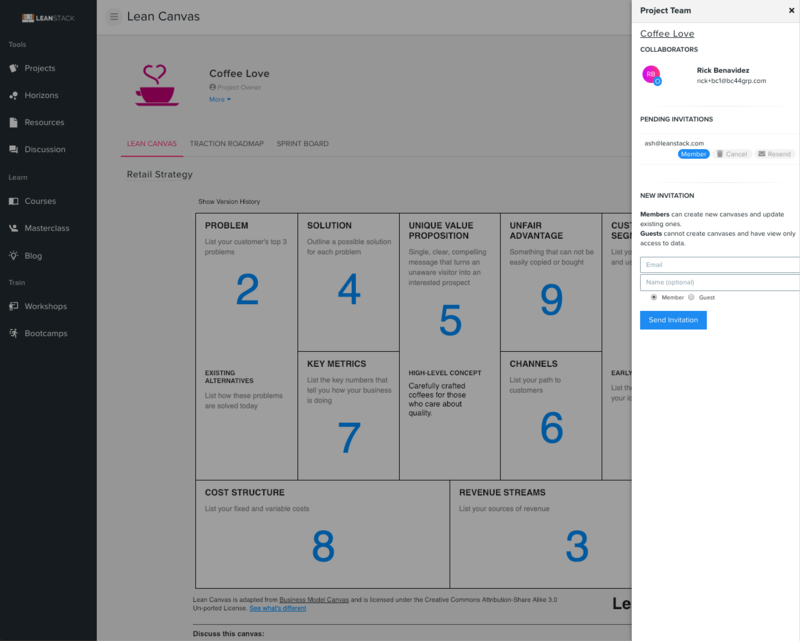 Historically, LEANSTACK has centered each project around the Lean Canvas and used it loosely to describe collections of models that may or may not have included a Traction Roadmap and Lean Sprints. The changes we've made to this area provide an opportunity to recenter the terminology around the core job of these tools -- creating and iterating on the business model. 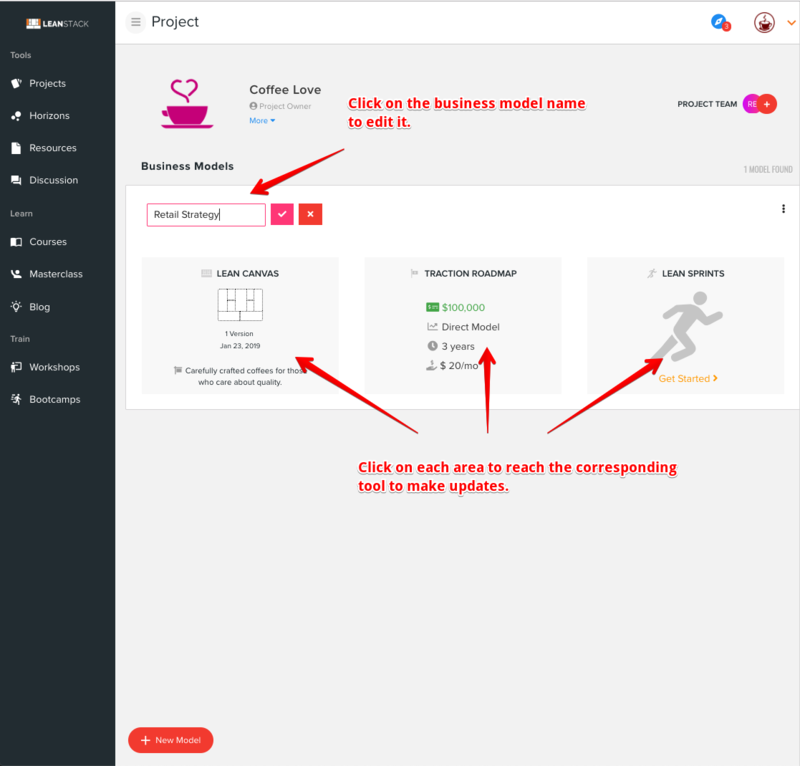 Under each project, you can now see each individual business model and the state of the corresponding tool within that model. If you have a Lean Canvas in progress you will see when it was last updated as well as the number of overall versions of that canvas. Similarly, if you have completed a Traction Roadmap or started a Lean Sprint, you'll also see relevant information for those as well. Seeing each of these models at-a-glance can provide a more holistic view of the state of the project and should provide a way to ensure that any Traction Roadmap you create or Lean Sprint you start is also tied to the Lean Canvas which originates the problem story of the model. You can reach each tool via the given area within that respective model and even update the model name by clicking on it. You can still create unlimited business models (and Lean Canvases) within the allotted number of projects that come with your subscription. We hope the transition in terminology will help drive clarity in the work and guide you towards better outcomes. Project details have been extracted to its own screen and is now available from anywhere in the project header. You can reach this by clicking "More" under the project name. 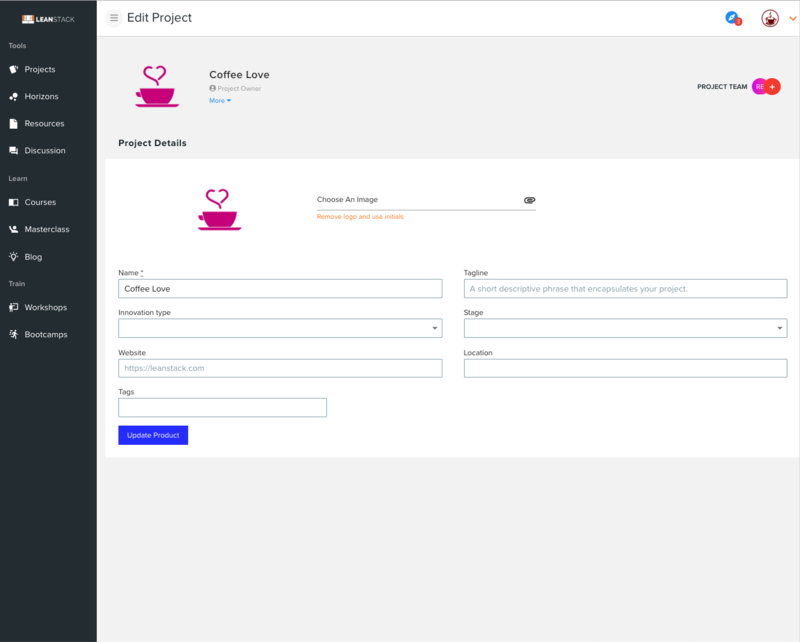 When editing a project you can update a number of attributes that convey the current state of the project including relevant data for other members and guests to provide more context. The logo, name, and tagline are used widely when referencing the project so consider uploading a current logo and adding that detail to help distinguish the project for others. 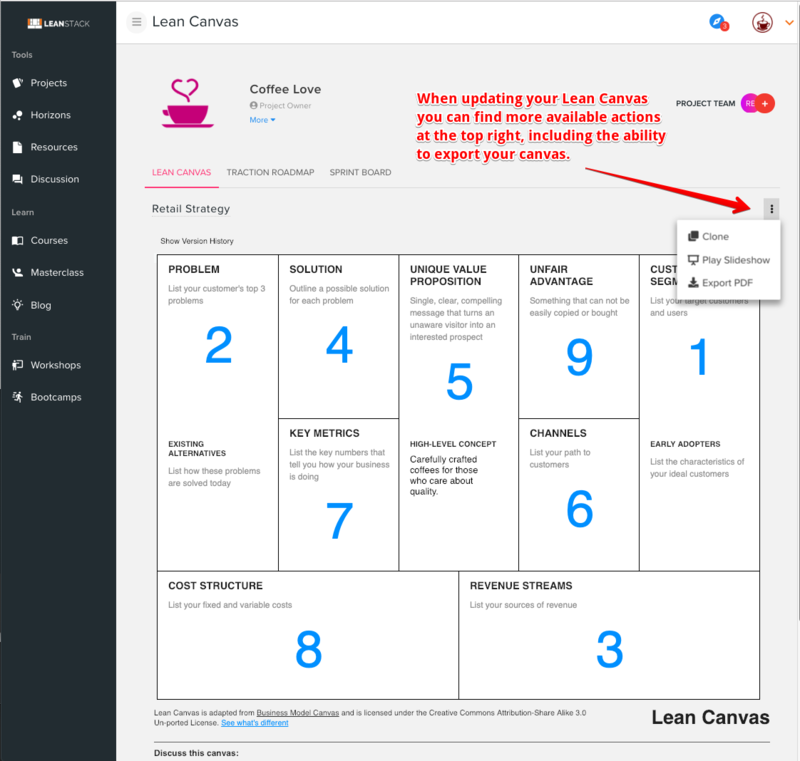 Extended actions for your Lean Canvas have moved and are no longer part of the canvas area. You can reach these functions near the top right of the canvas. 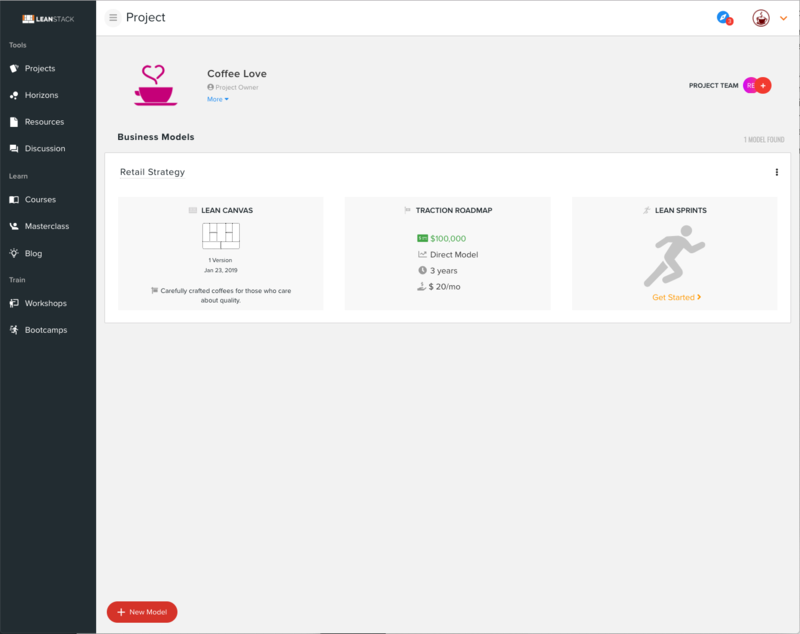 Your project team, collaborators with access to your project, are now available throughout the project context. Within every model and tool you'll be able to review and manage the associated collaborators for that project.